This customized VIP Italy tour takes you to iconic resorts and allows you to immerse yourself in luxury. 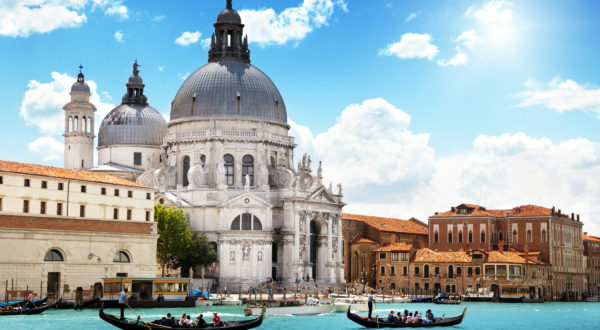 It begins in the Floating City of Venice, where you can enjoy private experiences, including a gondola ride and Prosecco tasting, before we whisk you into the Roman Empire with a stop in the ancient city of Rome, where you will enjoy an eclectic mix of unrivalled luxury and historic charm. As a finale to your VIP Italy tour, you will be lulled into complete relaxation with 5 nights on the idyllic Amalfi Coast in the exclusive resort of Positano. With pre-arranged private tours, luxury accommodation and private transfers, this is the perfect VIP Italy tour on which to relax in complete luxury. Departure dates and prices: Dates are flexible and customizable for private departures, allowing you to choose your preferred departure date. Prices start from $6599 per person and vary with the season. 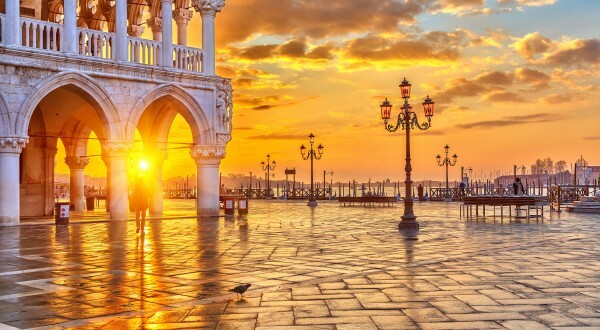 Venice: There are no words that can describe the magic and beauty of Venice. Here, you will be treated to immediate luxury with a private water taxi transfer from the airport to your 5-star hotel in central Venice – a start to your Italy VIP vacation that you will surely never forget as you are swept into the Floating City aboard a private speed boat. Then, as a special treat, you can recline under sunset skies on an evening gondola ride through Venice’s most intriguing canals, including the Grand Canal. 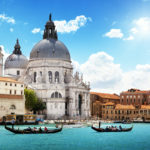 There will be plenty of time for you to absorb the delights of Venice’s unique cityscape and, to be sure that you don’t miss out on the most exclusive attractions, let us arrange a private guided tour for you of St Mark’s Basilica, known as the Golden Basilica, where you can discover glorious examples of Byzantine art and stunning gold mosaics. We can also arrange a special tour of the Doge’s Palace with a private guide, allowing you to discover Venice’s decadent past and see rare architecture and rich interior design, including the Palace’s famous golden staircase. As a finale to your stay in Venice, we will arrange an enjoyable Prosecco-tasting experience in Valdobbiadene – the capital of the Prosecco Hills, where you can sample different sparkling wines and gaze upon vibrant Veneto vineyards. Rome: Next, we take you back in time on your luxury vacation to Italy with 3 nights in the ancient city of Rome, where you can discover intirguing and famous sites that date back to the Roman Empire. We will dedicate a full day to the iconic Colosseum and Roman Forum, allowing you to discover these magnificent landmarks in all their glory with a knowledgable private guide, who will bring history alive with stories of the battles and shows that once took place inside this famous amphitheater. You will also be treated to a VIP tour of the Vatican Museums, with special access to some of the protected exhibits, including the Raffael rooms, Borgia apartments and the Carriages room. As a finale to your VIP Vatican Museums experience, you will also discover the iconic Sistine Chapel – a place like no other that will surely stun you into silence with its priceless ceiling fresco, famously painted by Michelangelo. 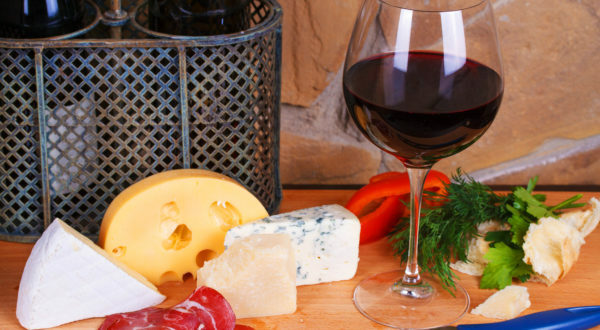 To contrast your cultural discovery of Rome, as a fun treat that allows you to enjoy a little of the authentic “modern” Rome, we will take you on a private tour of the Eternal City’s food district, where you can sample suppli (Roman rice balls) and try local wines with a private guide. 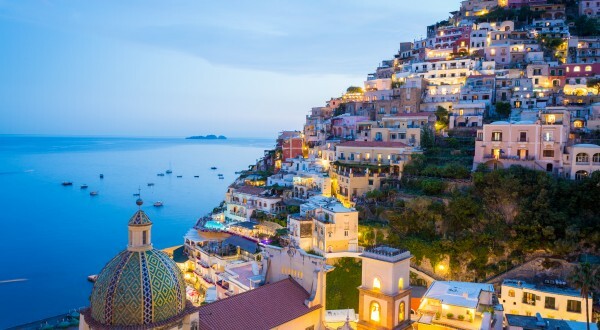 Positano: As a finale to your VIP tour of Italy we take you to the most exclusive resort on the Amalfi Coast: Positano. Here, you will be lulled into complete relaxation at a 5-star hotel with sea views and, as a special treat, we can also arrange tickets to a concert in Ravello, with piano recitals and string quartet performances to choose from. As well as plenty of time to discover the delights of the Amalfi Coast and relax before sublime sea views with a glass of fine Italian wine, we can also arrange luxury day trips so that you can explore the local attractions. As a part of our VIP service, we will arrange an exclusive wine-tasting experience in the vineyards at the foothills of Mount Vesuvius, where you can sample unique local wines and learn more about wine-making in this region. We will also arrange a private tour of Pompeii and Herculaneum – Italy’s lost cities, which were famously buried beneath ash, mud and lava following an ancient volcanic eruption in 79 AD. As a consequence, the cities were hidden for nearly 1500 years in a near-perfectly preserved state, and today are considered among the world’s most important archeological sites, where you can take an unprecedented glimpse back in time to ancient times. As a part of the tour, our private guide will show you beautiful mosaics and explain the tragic history of these cities on a throught-provoking and in-depth tour that will make for an unforgettable cultural finale to your VIP vacation in Italy. As specialists in tailor-made vacations, we have the unique ability to customize our vacations to suit our clients’ needs. If you want to amend the number of nights in any destination or change the itinerary or activities, that’s no problem! Please call our friendly team members at (347)-594-5500 or click here to send us an inquiry and start your dreaming about your exclusive vacation in Italy today!